Why do Jewelry Trends Change? It’s hard enough trying to keep your clothing style up-to-date, but what about jewelry. You may wonder why do Jewelry trends change? Well, the answer is that because clothing styles keep changing, jewelry must. 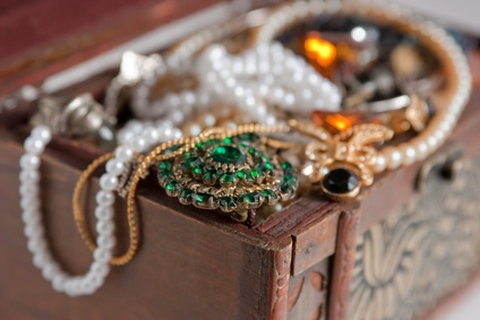 Jewelry and accessories go hand in hand with wardrobe. Can you imagine how silly it would look for a person to be wearing the hottest trends in clothing, but be accessorizing those clothes with jewelry from the 80’s? Jewelry pulls an outfit together. It complements an outfit. Therefore, when you are wearing certain clothes, you want your jewelry to match. Now, this does not just mean matching in color, this means matching in decade, it means matching in style. Jewelry goes through many treads, just like clothing and this is mainly due to designers and the media. When there are fashion shows, these do not just show off the latest looks in fabric, they also show off the latest looks in jewelry. That, in turn, causes the media such as fashion magazines to pick up those trends. What happens then? Well, celebrities pick up the hottest jewelry trends and then the public copies what the celebrities do and wears those pieces as well. Now the jewelry that you see in fashion shows and on celebrities often costs hundreds if not thousands of dollars. Luckily, jewelry manufactures understand that the average person is not going to spend the same amount on accessories as they would to buy a new car. Therefore, pieces that copy the look of those expensive pieces are created so that just about everyone can keep up with the always changing trends. Why do trends change so quickly? It is a combination of designers being pressured to always come up with “something” new and the needs of the public to want changes. No one wants to be wearing the same styles as they did five years ago. And then there is a big segment of the “wardrobe conscious’ that does not want to be wearing last year’s trends. Style is constantly changing and those who want to keep up with the trends must accept that looks will change at least every year. If you are finding that you are having a hard time keeping up with all of the newest jewelry trends, don’t despair. Usually what comes around comes back around again. Those thin pieces of jewelry that were so in a couple of years ago have now been replaced by big, bold pieces. However, in a couple of years, those thin, elegant pieces are going to be in style again! It is a good idea to put away pieces that you no longer wear and keep them wrapped in tissue paper or other materials that will keep them in good shape. 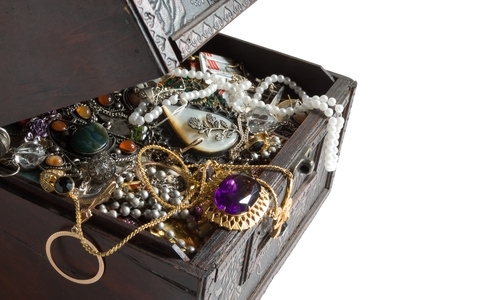 One of the worst things that a person can do is to allow for jewelry to be scratched, and that is often done by allowing pieces to touch other pieces. So, hang onto your good, quality pieces or even inexpensive pieces that have held up well and chances are that they will be in style again, faster than you can imagine.